After a fairy-tale courtship in 1980s New York City, Maggie's young marriage shatters when her 'perfect' husband-a star editor at the Wall Street Journal-is diagnosed with and dies of AIDS, leaving her with two young children in a city electrified by paranoia about the new epidemic. 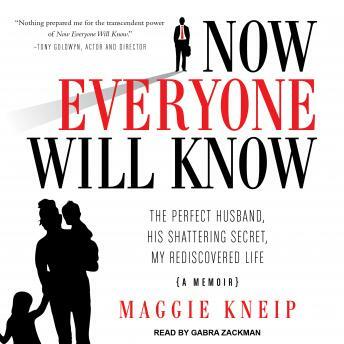 Devastated by his betrayal, Maggie struggles to protect herself and her children from stigma, keeping the circumstances of her husband's death a secret for nearly twenty-five years. It is only when a journey of self-discovery aligns with her children's coming of age and a new world of sexual tolerance that she can finally embrace the truth and set herself free. With a foreword by former Wall Street Journal assistant managing editor Laura Landro and an afterword by psychologist Dr. Dale Atkins, who frequently appears on The Today Show, Now Everyone Will Know is an honest, unflinching memoir about the damaging nature of family secrets and an inspiring call to embrace every truth-the good, the bad, the ugly-that makes us who we are.